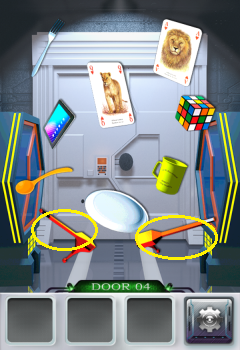 Pick up the two levers (far bottom objects). 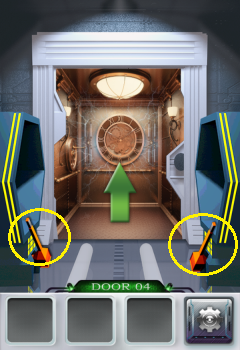 Place them on the left and the right, then tap them to activate. Tap the door to open it.